It’s inspiration Monday! 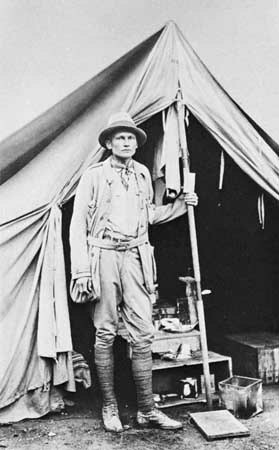 My inspiration that I am sharing this week is Hiram Bingham III, noted scholar who helped to put Machu Picchu on the map. We owe Hiram Bingham for helping the world to understand the culture and history of the Inca, a great indigenous people who lived in Peru. He was also one of the inspirations for the character of Indiana Jones, one of my heroes growing up. Bingham was not a trained archaeologist but during his time as a lecturer and professor at Yale he developed an interest and desire to find the misnamed, “Lost Incan city.” In 1911 Bingham mounted an expedition with Yale and local indigenous farmers to try to discover the lost city. He then went back in 1912, 1914 and 1915 for further expeditions to the area as a combined effort between Yale and the National Geographic Society. Machu Picchu is now a World Heritage Site that hosts over 400,000 visitors each year. Restrictions have been placed on the site as to try to deter the havoc, all of those visitors create for the ancient ruins. There is talk of limiting the number of visitors per year. Soon you will have to apply for a permit to visit the site, in order to preserve its integrity. Machu Picchu is a dream destination for many people. There are several ways to experience the architectural wonder. You can hike the Inca Trail, which will take about a week, or you can ride the Belham Hiram Bingham Train. A luxury train which transports visitors, for a fee, from Cusco to Machu Picchu. It is also one of my dream destinations as well and if it were not for Bingham, we may not know that this feat of the Incas existed. Looks like I will have to make it apart of my travel itinerary soon! Until next time, life is short so travel now!